Last year, then 14-year-old Maud Chifamba made history, as she became the youngest university student in Zimbabwe as well as in the entire southern Africa. She is currently studying to obtain a Bachelor of Accountancy Honors Degree at the University of Zimbabwe, the country’s oldest and most prestigious educational institution. 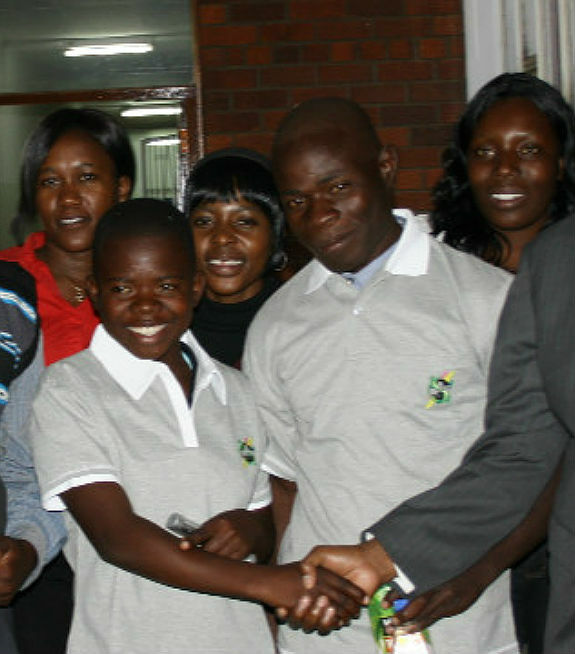 She has obtained a four-year scholarship of nearly $10,000 from the Zimbabwe Revenue Authority Chairman’s Charity Fund after she excelled at last year’s Advanced Level exams. Maud grew up in extremely difficult circumstances. Both her parents have passed away: her father, when she was only 5-years-old, and her mother, in 2011, when the young girl had finished her school exams. The mother’s passing left the young girl and her two brothers in abject poverty. Her brothers, who work on a far, were unable to pay the fee at Maud’s school, so she had to drop out. Her astonishing abilities were noticed since primary school, when her teachers decided to move her from Grade 3 to Grade 6. She took her Grade 7 exams when she was 9-years-old and obtained top marks for all her subjects. Maud completed her Ordinary Level in only two years, after her school allowed her to skip two forms. She scored 12 points in her Advanced Level exams, which her brothers managed to pay, at the age of 14, earning her a place at the University of Zimbabwe. In order to achieve her goal, the young girl has established a reading routine that last several hours of each day as well as during the night.